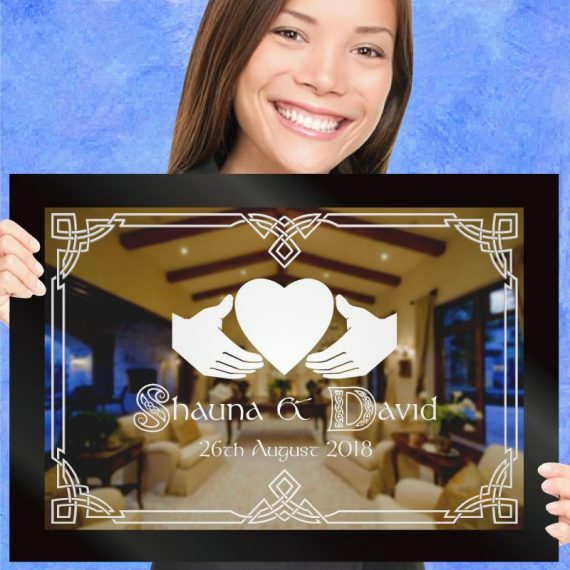 A simple and classic design, complimented by elegant fonts etched into mirror as a memento of a special wedding day. 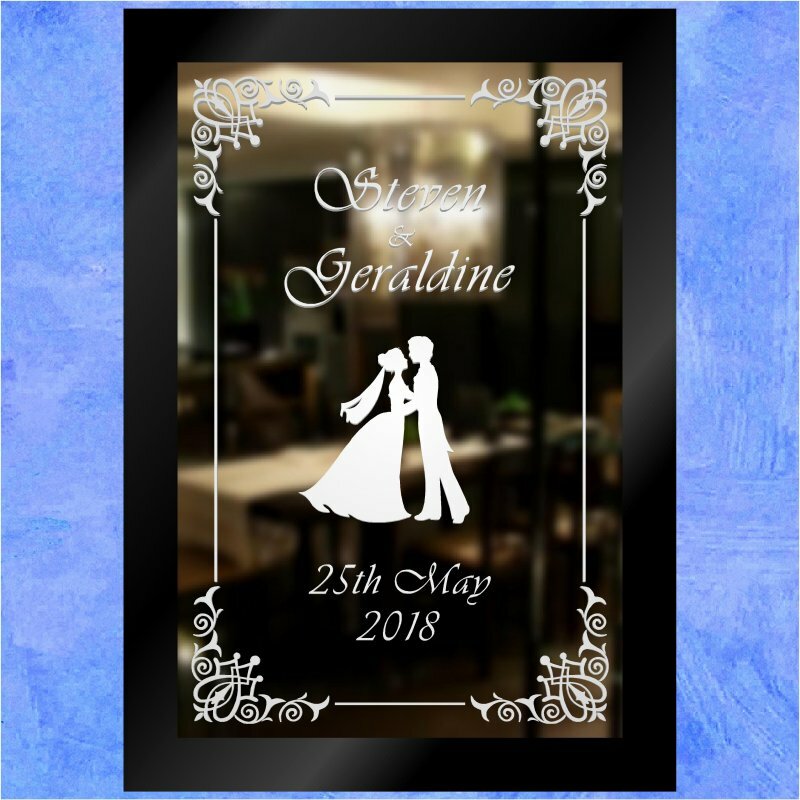 Size: 20″x14″. 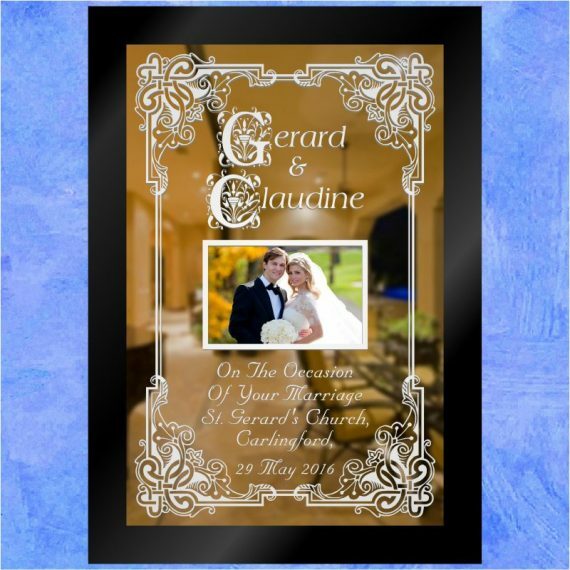 A simple & traditional design,'The Bride & Groom' is an elegant wedding gift that is at once classy and uncomplicated. 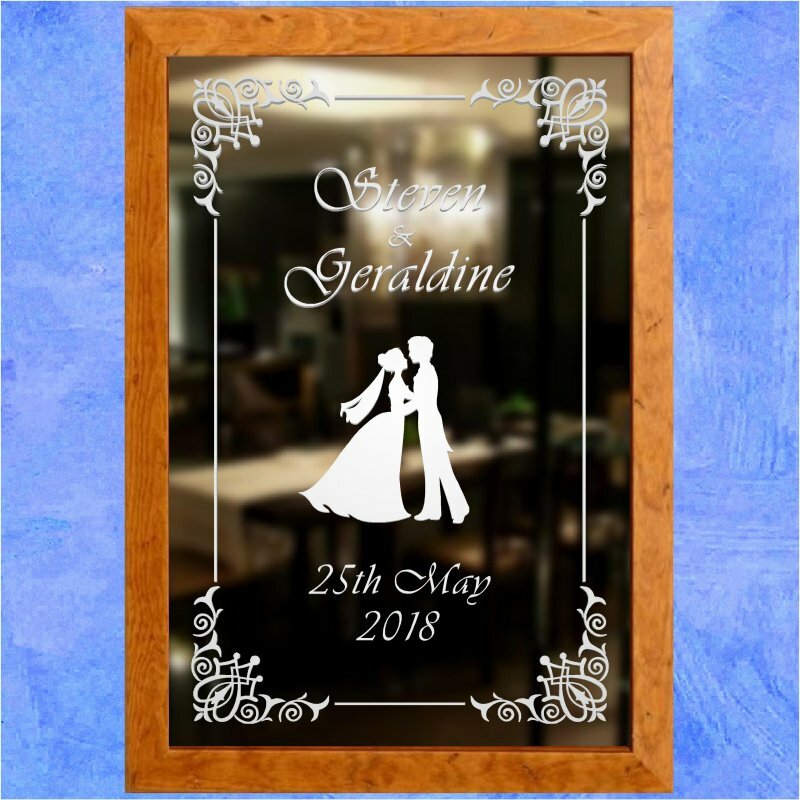 Etched into the mirror are the happy couple's names and their wedding date above and below a silhouette of newly weds dancing. 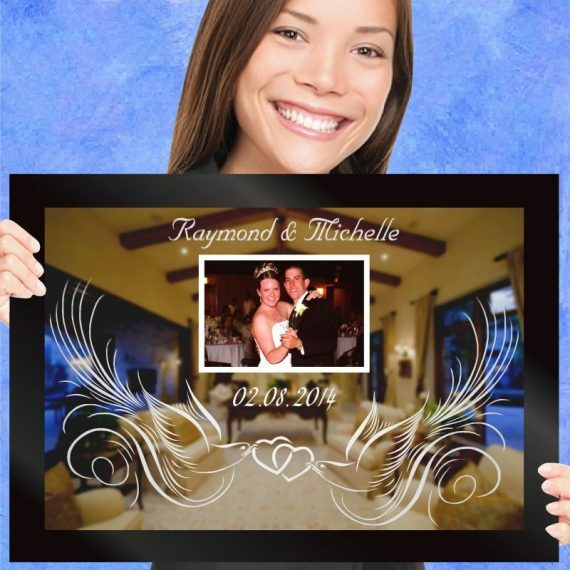 The design is completed by an engraved border design and available in a choice of black or brown wooden frames. 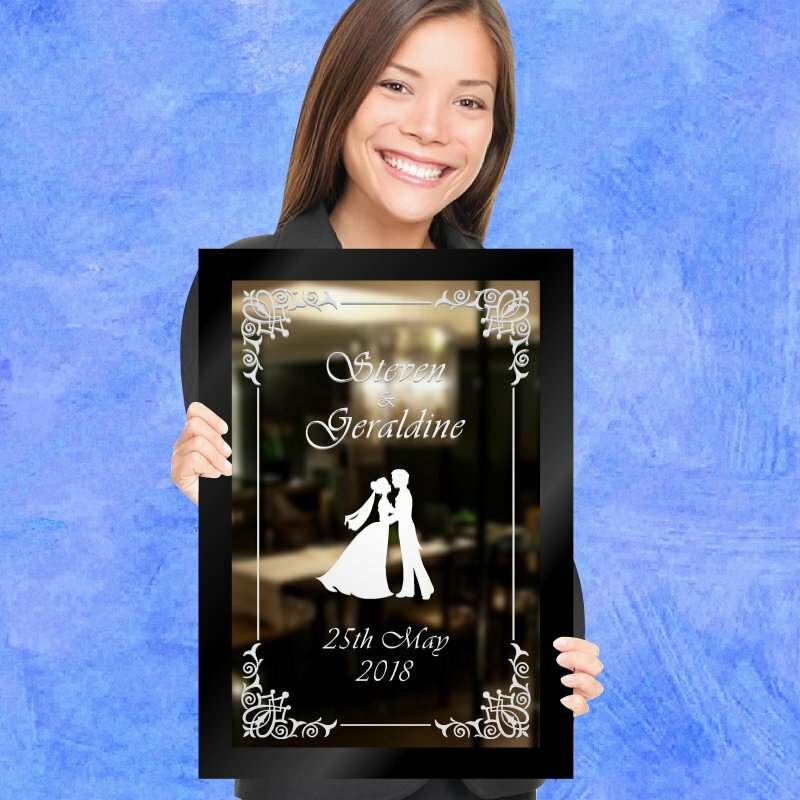 A simple and instantly recogniseable design complemented by a favorite wedding day photo to mark your friend's wedding day. Size: 20"x14". 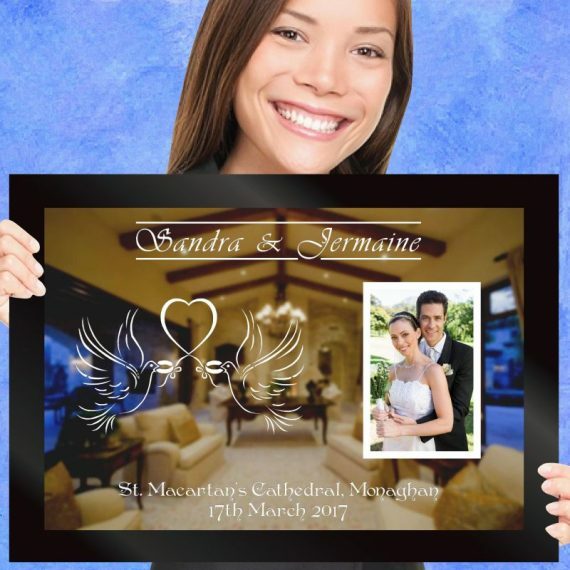 Two elegant lovebirds give this design its romantic theme, complemented by a favorite photo from the couple's wedding day. 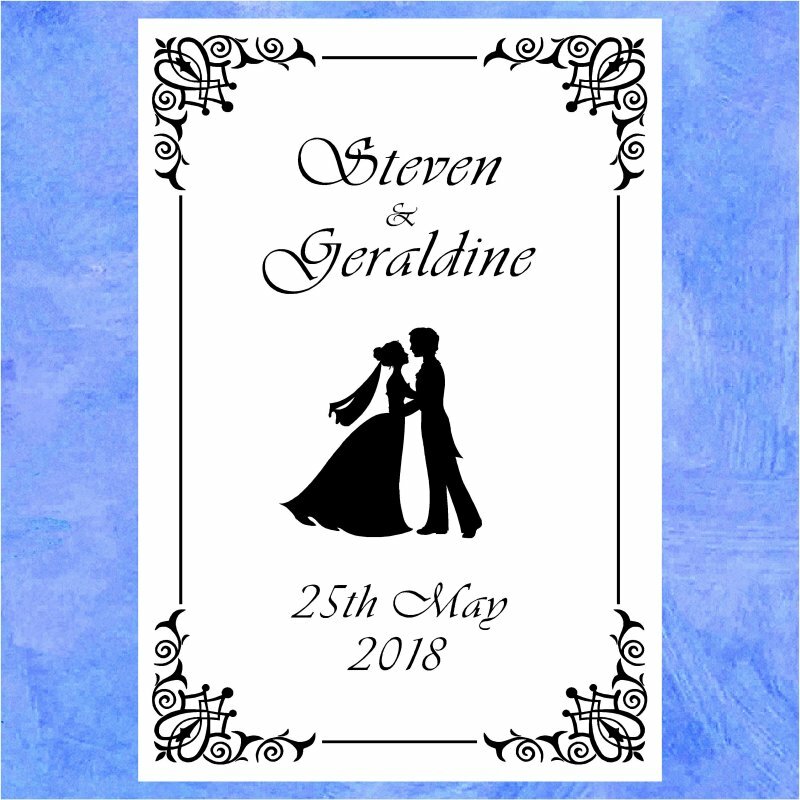 Size: 20"x14".